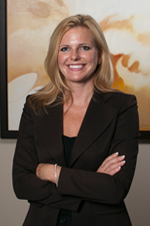 Lori joined Bland Garvey in 1994 and became shareholder in tax and accounting services, as well as a co-founder and investment advisor for our affiliated firm, Bland Garvey Wealth Advisors. Lori combines her tax, estate-planning and business savvy with a focus on high-touch client service and specialized experience in serving veterinarians, physicians, dentists, restaurateurs and other professionals and their families. Lori has more than twenty years of experience in public accounting. She holds master’s degrees in business administration and accounting from the University of Texas at Dallas, and a bachelor’s degree in business administration strategic management from the University of North Texas. She also has earned recognition as a Five-Star Wealth Manager. Lori volunteers her talents to the Dallas CPA Society Investment Committee, Treasurer of Dallas Chapter of TSCPA and has recently been nominated for the Board of Directors of Texas Society of CPAs (TSCPA). Lori enjoys traveling and is a Dallas Mavericks fan.